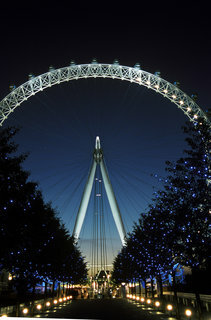 Don’t miss Frostival at the EDF Energy London Eye! The Christmas holidays are almost here! 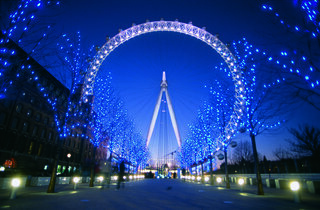 And if you’re looking for fun things to do then don’t miss Frostival at the EDF Energy London Eye! From 30th November to 4th January you’ll be able to go in a special ice themed capsule for a ‘Frosty Guided Experience’! Rise above London with faux ice sculptures, twinkling lights, the whisper of wintery winds and crackling ice, all with the scent of yummy mint hot chocolate! Expert guides will also join you to provide interesting winter facts on the landmarks you’ll see across the city. Back down on Earth you can also enjoy some ice skating with their biggest ever ‘Eyeskate’ rink! Bigger and better than ever before, the ice rink is open to everybody – from beginners through to Olympic hopefuls! It’s open from Wednesday 27th November to Sunday 5th January 2014 – click here to book now! Click here to find out more and book your places!